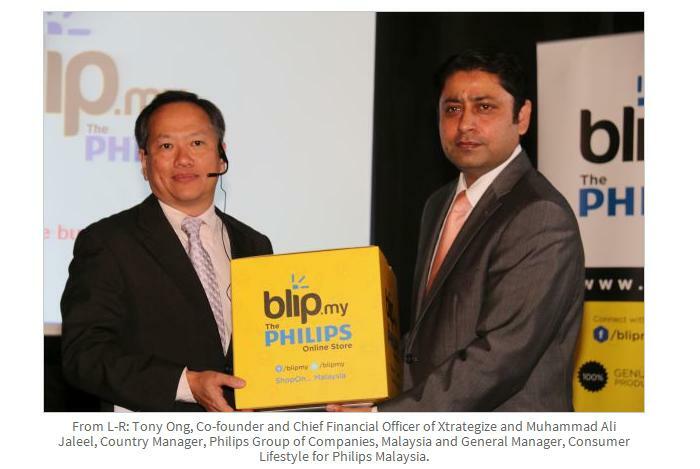 With more and more Malaysians getting comfortable with the idea of getting goods online, Philips Malaysia decided not to be left behind by collaborating with Xtrategize Consulting to release an online e-commerce store. 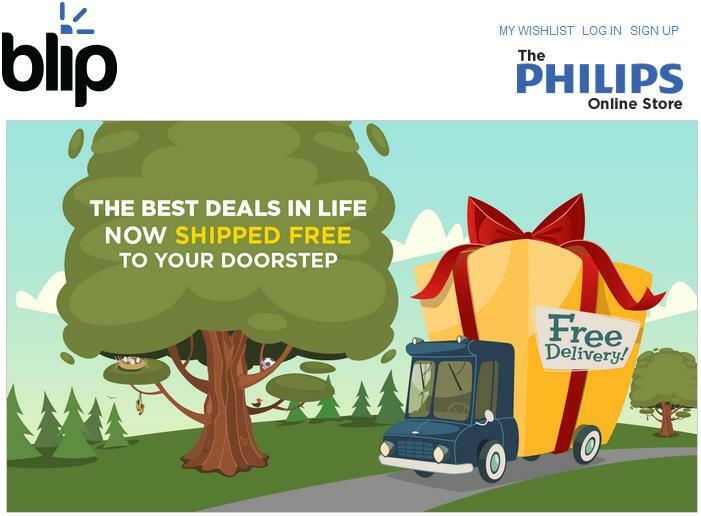 Blip.my offers exclusively Philips products, promising that the goods are genuine Philips products. Blip.my has been operational since August, but was officially launched just two days ago on November 25, 2014. The accompanying facebook page has already gathered more than 6 thousand likes and offers new updates on the site (such as the official launch) as well as special discounts for products. The website offers an array of products categorized into Personal Care, Mother & Child Care, Kitchen Appliances, Household Products, and Coffee Machines. The no-nonsense website is a work in progress, with short product descriptions and the experience video tab that only has a “Coming Soon” message. Since it’s still new, it’s only understandable that the customer reviews are blank. It does, however, offer a useful feature that will no doubt be helpful once the site starts offering more products. 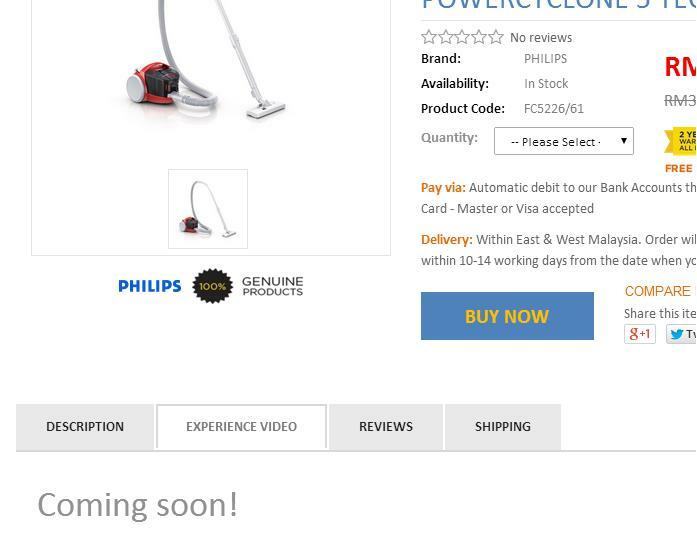 Each item has a “Compare Product” button right to the “Buy Now” option, which lets user sees similar products on the site along with the prices . The landing page for Blip.my has an image that made me wary and excited at the same time. It says, “Free Shipping”. Well, yeah? I’m from East Malaysia. Nobody ships for free to where I am… But they do. Just to be sure, I even checked out an item. The entire buying transaction is a 2-step process that is almost unbelievably simplified and easy. 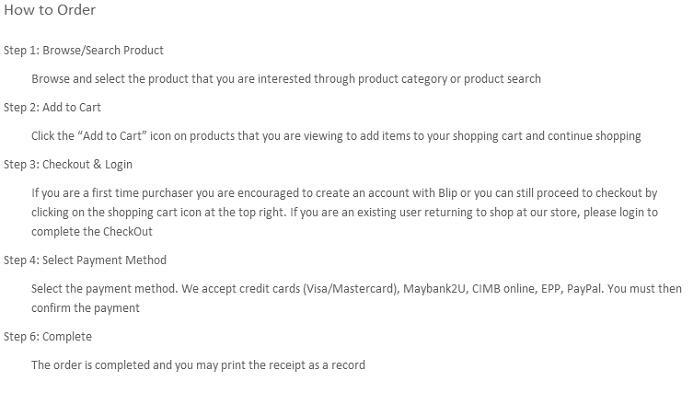 All I needed to do was click “Add to Cart” on the product I’m looking at, fill in some basic information like my address, then choose a payment method. That’s really it. And it really does ship free to East Malaysia. Blip.my takes about 3-7 days for the products to ship. The items comes with a 2-year warranty and you can check out the return policies here. Even more surprisingly, it offers an extensive return policy that lets customers return their faulty products to a Philips store near them or have the company pick up the product themselves. The website allows payments via visa (credit or debit card), internet banking, and paypal and promises safe transaction. According to their site, “Your credit card details are protected when you send the details to us over the Internet using our secured server. We use industry-standard SSL to encrypt your details.” So consumers need not worry about buying items from the website. According to Venusbuzz.com, the website has managed to obtain 20,000 hits and 15,000 unique visitors since it’s launch in August. 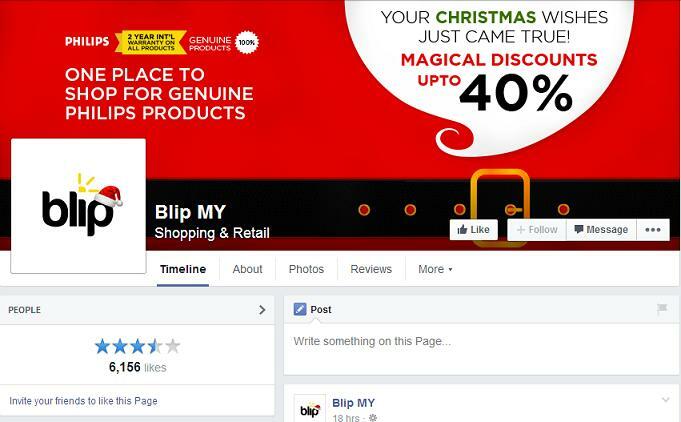 It managed to gather sales of RM30,000 from 300 accounts registered. The facebook page offers plenty of discounts for the products due to the upcoming Christmas season! Do head over and have a look. Personally, I love how easy it is to get the transactions done via the site. The user interface is really easy and the different options for payments make it all the better. However, it is definitely a work in progress. Longer product descriptions would be a plus in addition to the promised experience videos. Lastly, and most importantly, the site could do with more products that we can purchase! What’s The Ideal Age To Propose? Here’s What 15,000 People Say.